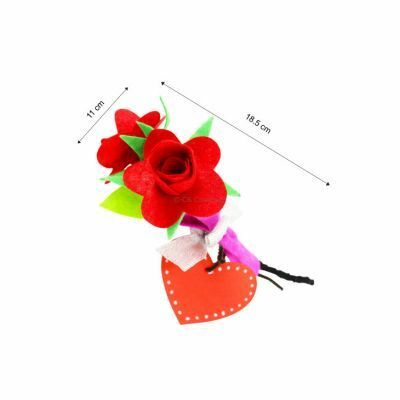 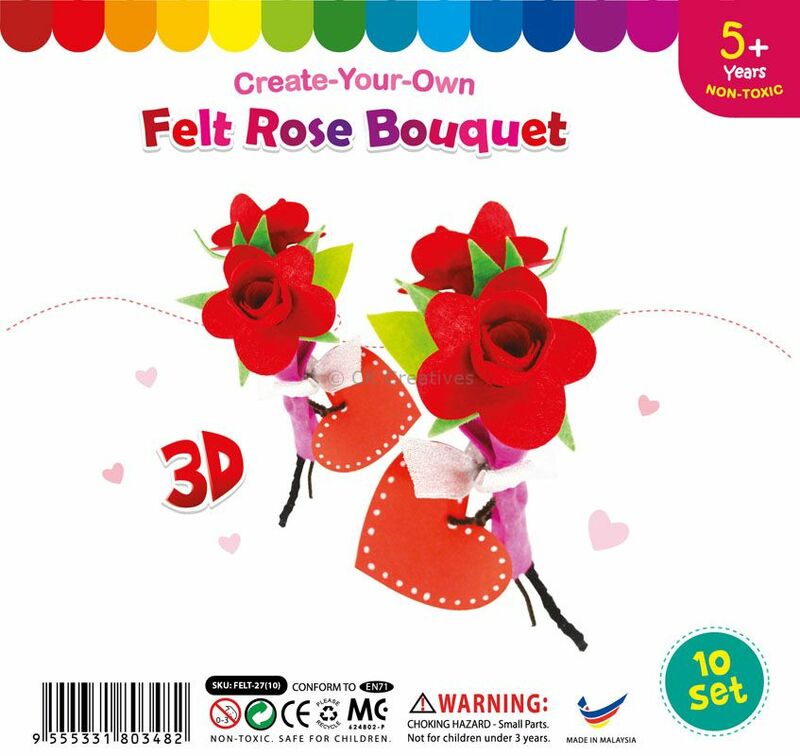 Give a bouquet of lovely felt red Roses on Mother's Day or Valentine's Day! 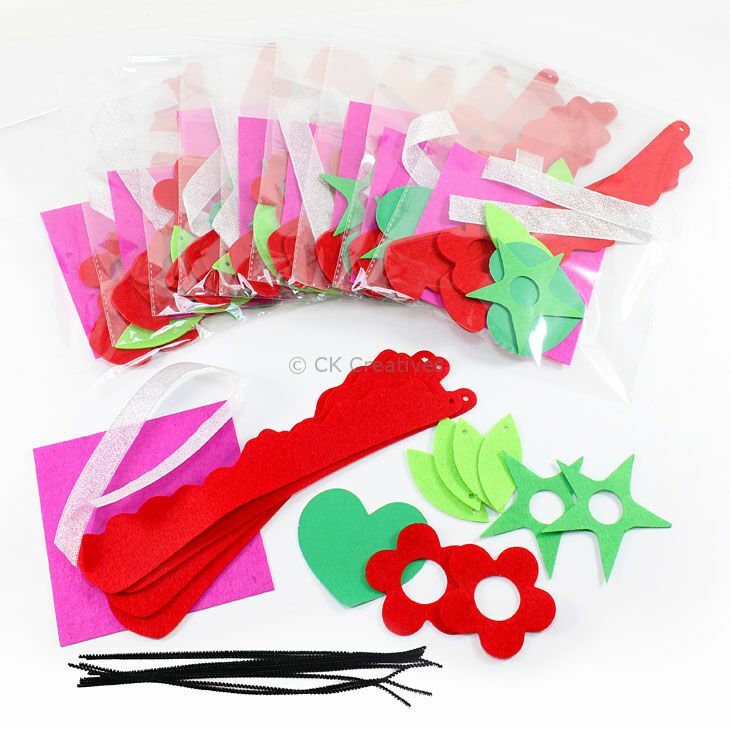 Do-it-yourself craft does come with a personal touch - you may also write your personal message on the pre-cut heart shaped colour paper. Tie the bouquet with smooth white ribbon and it's ready to be presented!